Surprising audiences, taking them on a journey by mixing up various and even indie tracks, blending them with straight basslines, berlin house and some dubby techno – this is Daniel Wilde. You might know his voice from the latest Tiefschwarz album Chocolate. He made his entree to the deep-house scene with tracks such as Home, Stones or It’s time, and bridged the gap between stage and audience when he was performing with Tiefschwarz live. In the meantime he has been collaborating with some big names in the scene, like Audiofly, Re.You, Marcus Meinhardt, Adam Port or Santé and released records not only on Souvenir Music, but also on Mobilee, Supernature, Liebe*Detail, Heinz Music, Stil vor Talent, 8bit and CLR. For CLR he wrote three songs on Monoloc’s debut “Drift”, which he also sang and co-produced, adding a deep and soulful dimension to this unconventional techno long-player. 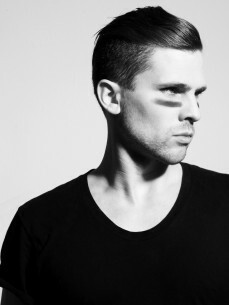 Beside his work as producer and singer for different projects, Daniel´s dj career made a massive leap, taking him not only to Barcelona, where you find him playing at off-Sonar and Werk It, but also to Lisbon, Copenhagen, WMC Miami, Sullivan Room New York or Watergate, Kater Holzig, Wilde Renate & Club der Visionäre in Berlin.